Charles Friedman has joined the Firm as a Senior Tax Manager. Charles joins four other Senior Tax Managers as the Firm continues to experience strong growth in the first quarter of 2018. Charles recently relocated to Palm Beach County from Long Island, NY. He has worked at several accounting and law firms in the New York Metropolitan area. He specializes in trusts & estates, high-net worth individuals and charitable organizations. Charles is a graduate of Baruch College in Manhattan, with a bachelor of business arts degree and a juris doctorate from New York Law School. 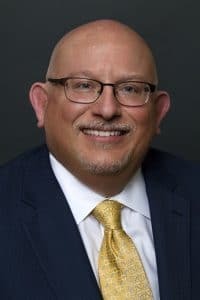 He is currently a member of the Connecticut Bar and the East Coast Estate Planning Council. Charles is married with two children. This entry was posted in Firm News on March 9, 2018 by Brian at Mackmedia.